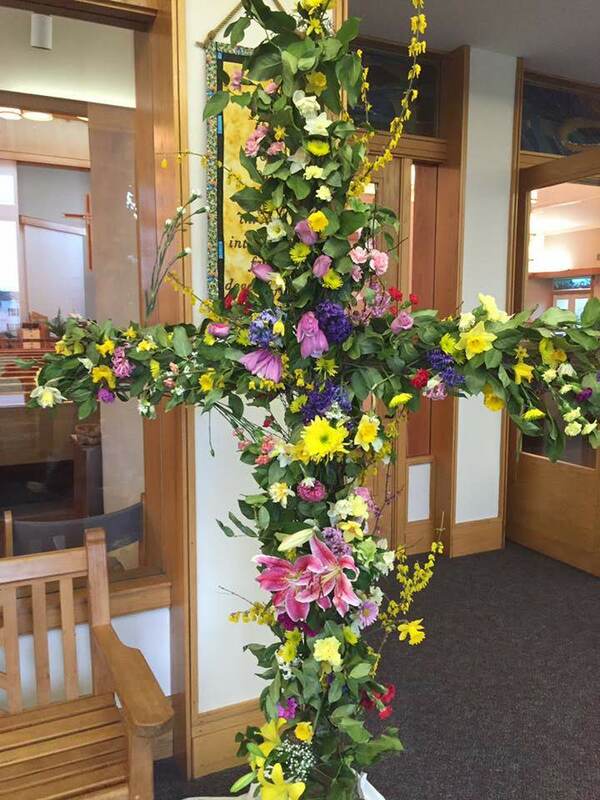 Bring a fresh flower to worship on Easter morning at all services! Easter and Holy Week are special times of worship at Grace UMC! At 7:30 pm on both Maundy Thursday and 12 Noon and 7:30 pm Good Friday, we remember Jesus’ last days on earth with traditional worship services. On Holy Saturday, we have a Prayer Vigil that starts at on Good Friday at 8:30 pm and continues until Saturday at 6:00 pm to remember God’s saving work throughout all of history and to be the first to welcome resurrection. Easter Sunrise Service is at 6:30 am at the cemetery on the church grounds, and Easter Worship continues at 8:25 am, 9:45 am, and 11:00 am throughout the morning. Join us for an Easter Breakfast 7:30-8:30 am in the Fellowship Hall. All are welcome. Nursery care will be provide for all services except the Sunrise Service.